any one recognise this mark ? Hi there, it could be Chris Fersterer of Dunedin. 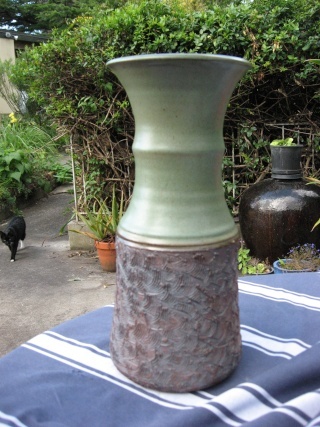 Do a search on Trademe and Google see if you can find any other works by him. Re: any one recognise this mark ? Hi Chef, I have tried to find out about this mark in the past. Some people have suggested that it was Ian Firth, but I really don't think this is the case. 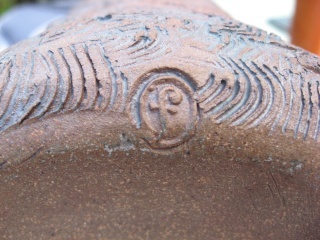 » DOES ANYONE RECOGNISE THIS MARK, studio pottery bowl.